Whether a school’s interest is to incorporate a strict direct instruction approach, a technology-based approach, or a combination of the two, dramatically improving reading effectiveness is guaranteed. 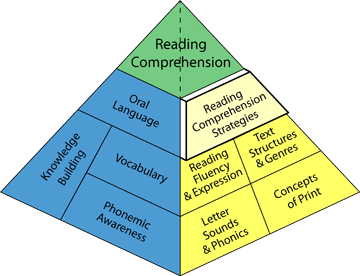 These strategies engage students in explicit, systematic, and multi-sensory reading instruction organized in a practical way for teachers to teach and simple for students to learn. The strategies are congruent with research-based best practices such as the Orton Gillingham approach to reading instruction and are fully aligned to the Common Core State Standards. Our average, students gain two to three grade levels in reading after 50 hours of instruction. Research indicates that in order for students to accurately connect written text to spoken language, an explicit, systematic, multi-sensory, phonics-based approach as outlined by the findings of Orton and Gillingham has been proven most effective. Phonics instruction is sometimes viewed as ineffective, because when it is not delivered through an explicit and systematic process, its efficacy is limited. The effective delivery of content and instruction makes the difference. Instruction should start with the most basic concepts before sequentially building to larger, comprehensive concepts that help develop metacognitive awareness of the language, thus illuminating text. This method helps teachers and students understand each building block needed to decode text through an explicit, easy-to-follow, and multi-sensory approach, appealing to multiple learning styles. A unique marking system is applied to each concept, making it easy for students to remember what they have been taught. The multi-sensory delivery method helps activate several areas of the brain by including visual, auditory, and kinesthetic cues that allow students to make the connections needed for meaningful interactions with text. This type of instruction is effective for every type of student: K-3 students, struggling readers of all ages, and English Language Learners. For further information on the approach and strategy instruction, click HERE.